Auto salvage yards like U Pull & Save offer tremendous savings on replacement auto parts, which can be incredibly pricey when fresh from the factory. Whether you need to repair your current vehicle or are a hobbyist improving a project car, you should know a few details before you search for used car parts in Florida. Here’s what you need to know before you go. The best mechanics know that not every car part is compatible with other cars that may appear similar. Salvage yards that offer cash for cars in Florida may be able to look up your VIN number on-site, then provide you with useful engine, transmission, and model information that can help you locate appropriate parts. This can prevent you from going home with non-refundable parts that don’t fit your vehicle, or, worse, can actually damage adjacent parts. Salvage yards allow you to ransack various vehicles on their lots and take whatever you want with you. However, this means that they don’t regulate what’s on their property. Before you happily take home a part that you need, like a muffler or a gently used tire, inspect the part for appropriate branding. Check for typos also. If you accidentally take counterfeit parts with you, you may be taking home a poorly made product that can damage your entire your vehicle or put your driving safety at risk. 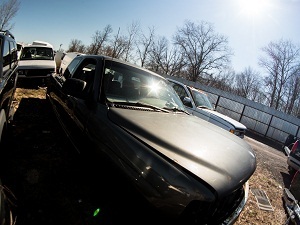 Auto salvage yards like U Pull & Save simply provide the vehicles for you to freely inspect. They don’t give you the means to access what you need. If you’re lucky, you can get assistance with isolating the parts you need from an engine, for example. But you’re better off bringing your own tools with you, and not just the ones that apply directly to the part you need, like a lug wrench. Bring as many auto service tools as you can so you can take the parts you want when you find them. That way, you’ll get the most out of your trip and save the most money.